According to independent research, if your business uses hand pallet trucks you could easily be falling foul of the law. HSM asks Stewart Gosling, national sales manager at Red Diamond Distribution, why this is. In a study in the Netherlands, carried out by Theo Egberts’ testing team, 17 different models were compared handling in typical working environments, handling 500 and 2000kg loads. Researchers measured the force required to start the load from stationary along with the sustained force necessary to keep it in motion. Shockingly, most failed to meet UK regulations even when moving the lighter load. Worse still, not one of the models tested met current UK legislation for a moving the heavier, 2000kg load. This could have profound implications if you are an employer. It is your legal obligation to do everything reasonable to maintain the well-being of your employees. In the case of lifting and shifting heavy loads, that means making sure you provide the right equipment and training. Importantly, this doesn’t simply mean avoiding one off incidents or injuries (the kind you might expect from moving an unusually heavy load). You also need to be aware of the gradual and cumulative effect of heavy lifting on a worker’s musculoskeletal system - and the damage such injuries can do to the smooth running of your business. 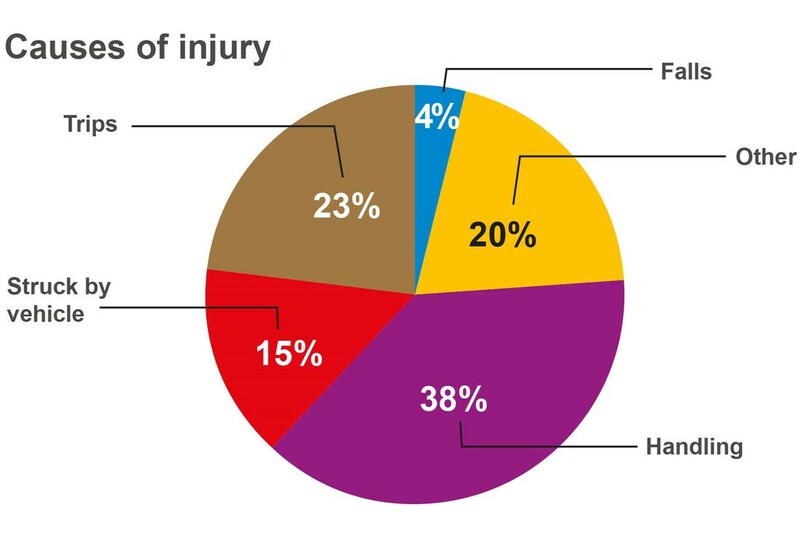 According to the HSE, more than one third of all injuries requiring at least three days off work are caused by manual handling (lifting, lowering, pushing, pulling or carrying). On average, each sufferer took 20 days off in a 12 month period, which represents a massive inconvenience to your operations and a blow to your productivity - and the risk of prosecution. 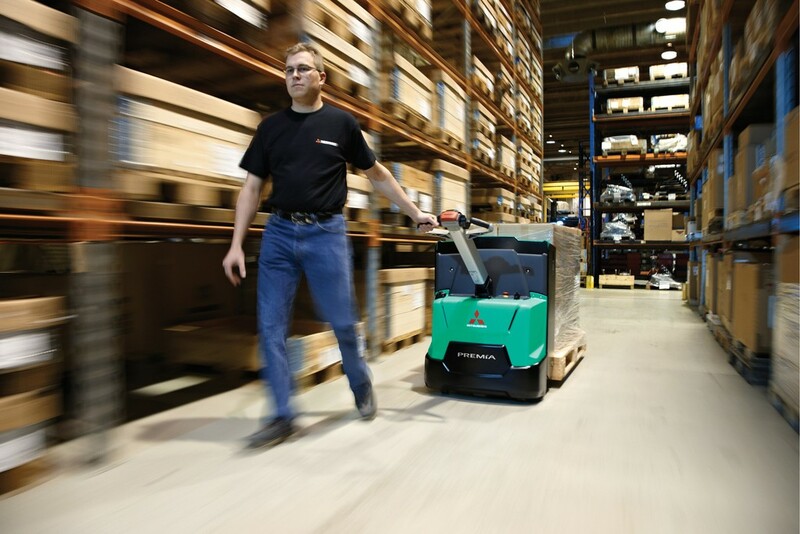 Put simply, if you are moving loads frequently, or shifting any loads greater than 500kg, you should be strongly considering trading in your hand pallet truck for a battery-powered version. In the first of these scenarios, it is the cumulative strain that needs to be avoided. In the case of heavy loads, it is the effort involved in starting and stopping a load - and keeping it in motion - that is the key issue. The official guideline figure for starting or stopping a load is about 20kg for men (typically the maximum weight for a suitcase at an airport check-in before you pay for excess baggage) or 15kg for women. The acceptable figure for keeping a load in motion is 10kg for men and about 7kg for women. But how does that work in practice? 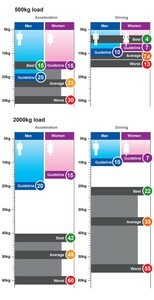 However, researchers found that starting a 500kg load from stationary takes, on average, an effort of 23.3kg. 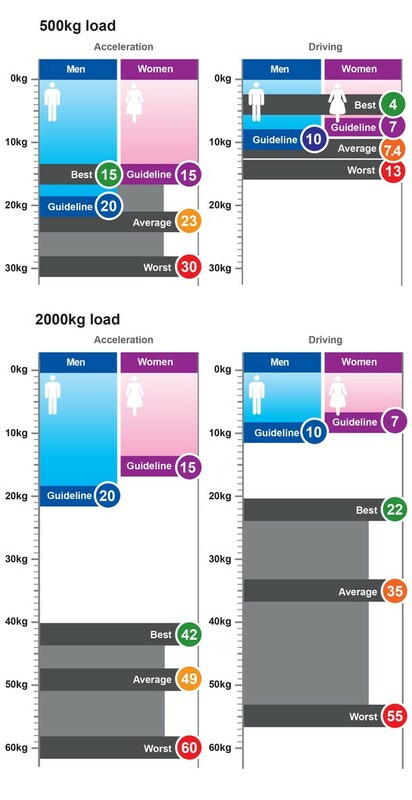 Increase the load to 2000kg (2 tonne) and the force required is 49.6kg – massively greater than the official guidelines. Raising a 2000kg load on a pallet truck is also very demanding. It takes an average force of 35.1 kg (again much higher than the guideline). Keeping that 2 tonne load in motion– at 30.7kg – exceeds the guidelines by a whopping 53.3%. In many applications, hand pallet trucks will be called upon to operate on an uneven surface or ramp. 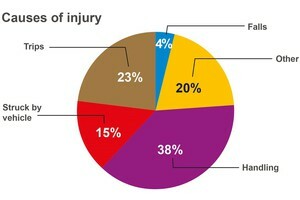 In those situations, sudden force spikes could increase the risk of injury many times over. As has already been mentioned, where a worker has to exert an unsafe force effort to undertake a task, it’s the duty of the employer to ensure that the worker either moves smaller loads or uses motorised equipment such as a powered pallet truck.